By 2020 more than 50% of the UK workforce will be working as part of a virtual team. Managers need to recognise that leading such teams is very different from leading an office based team. In this blog we will look at some more of the issues and solutions for managing a virtual team. Virtual team managers don’t always think about which communication method they should use, and so rely too heavily on email communications with their remote workers. However, if you make the wrong choice of communication method you can harm trust, which is vital for the success of any team but is particularly important for a virtual team. 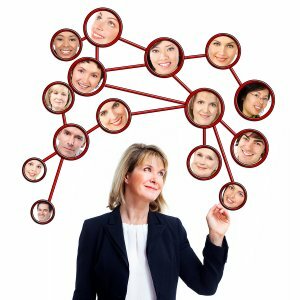 For an effective virtual team there are two kinds of trust you should be interested in building: interpersonal trust and task-based trust. Interpersonal trust is developed over time through shared experiences and interests and so the quickest way to build it in a virtual team is for everyone to initially meet one another, in as close to a face-to-face scenario as it is possible to achieve. Task-based trust is developed through team members cooperating with one another, keeping their commitments and deadlines and producing quality work. Getting your team involved in agreeing when and how communications should happen can greatly help to build a co-operative environment and so create the vital task based trust your team needs to succeed. What is the preferred order in which the different communication channels are used by team members, such as call/skype if possible, if not use informal chat and only use email as a last resort. No checking of business emails after a certain time. No blind CCs (bcc’s) in any email conversation. Providing a definite yes or no reply to all meeting invites. Not multitasking or holding side conversations in tele conferences or virtual meetings. What situations are considered to be an “emergency” and what rules can the team suspend in an emergency situation. When your team has discussed and agreed the communication rules, get everyone in the team to sign the charter, then post it somewhere prominent on the shared resources you all use, so that each virtual team member has ready access to it. Managing remote teams training can help managers understand and deal with the challenges of leading a virtual team to success.